No, not a war game but a peace game! The game is won when Spaceship Earth's problems are solved. The game is lost if you allow a World War to break out. 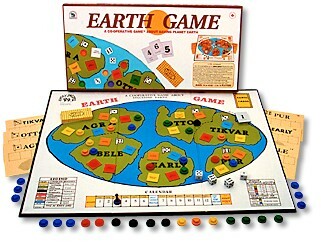 Includes: 17 x 22" board, Earth cards, action chart, nation cards, resource and problem tokens, billion dollar bills, dice.